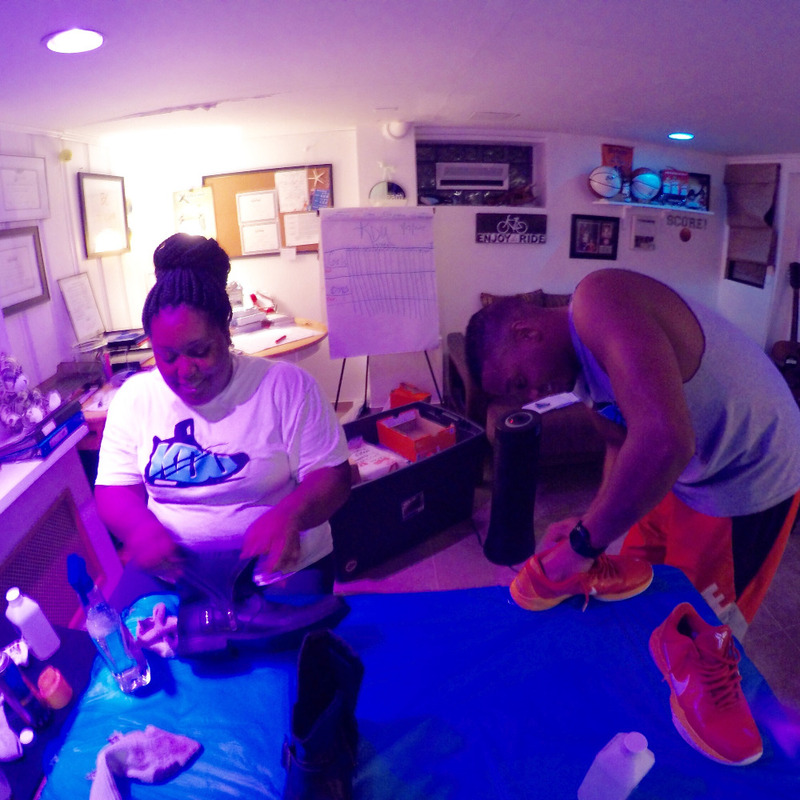 During the fall of 2014, Kick Dreams United © (KDU) was founded on a key possibility; What if the sneaker culture, out of love and appreciation for all things sneakers (athletics, design, and the soul of the sole),emerged as civic and socially minded? On the momentum of possibility, or as otherwise called – a dream, Founder, Tony Hardy, is uniting citizens of the sneaker culture. 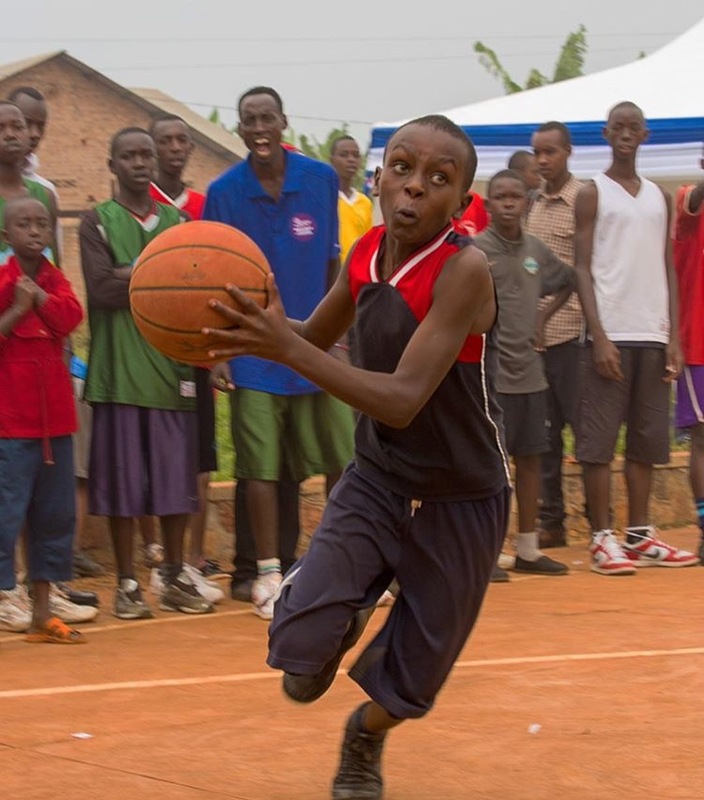 They have united to provide sneakers to Baltimore City Public School students; they have united to provide meals and sneakers to the homeless; and now, with a global interest, through a partnership with the Shooting Touch of Boston, sneaker culture members are donating new and gently used sneakers for the delivery of sneakers to youth in Rwanda. Also, this summer Kick Dreams United has partnered with NAPS and the Oakwood Alumni Association, to provide sneakers to those in need in Ethiopia. Every little bit counts. So today, your donation helps us support the mission to provide to those nationally and internationally. 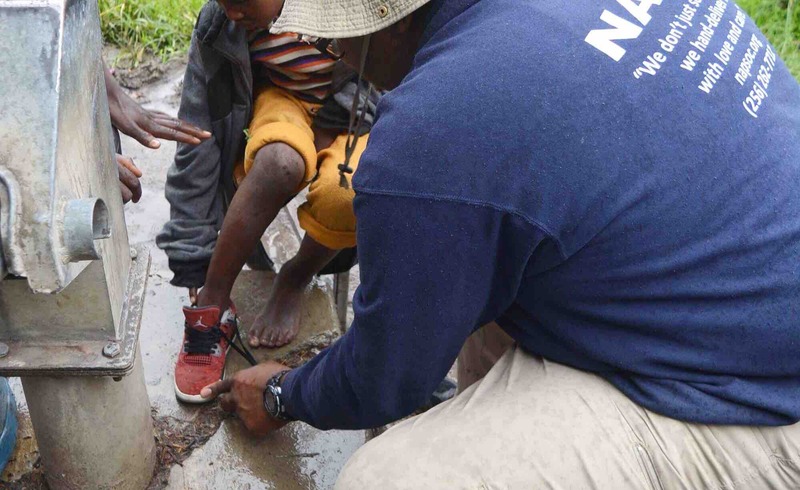 To reach our goal for Ethiopia , we need 500 pairs of sneakers and help with delivery. My love for kicks started at a very early age. I recall negotiating with my parents for that first pair of signature basketball shoes. 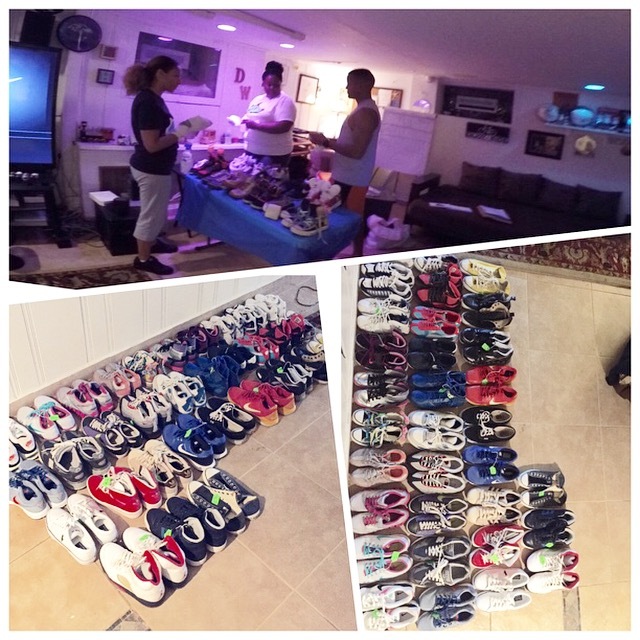 As a collector over the years, I am now inspired to convert sneaker luv to energy for positive initiatives. 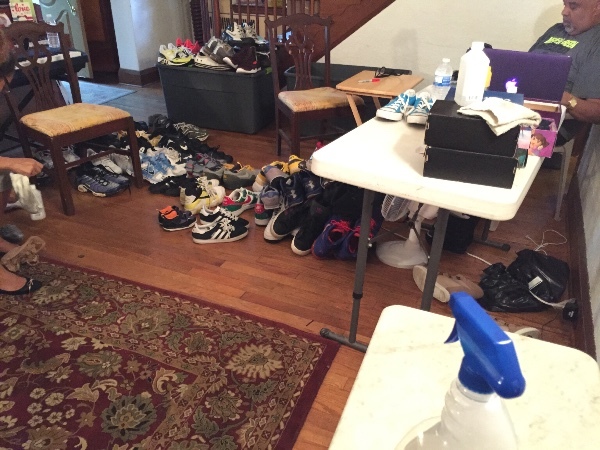 Why can’t those of us who collect kicks also donate sneakers? The goal of KDU is to move the sneaker culture from just acquiring shoes that “look good” to actually “doing good” for others. My family has actively participated in outreach generationally. As a kid, I helped my mom, grandmother, and aunts pack lunches for people in homeless shelters, wrap toys for adopted families at Christmas, deliver clothes to locations all over the city, visit nursing homes, and so much more. When my parents couldn’t find a suitable basketball program for my Bball buddies, and me, they developed a youth after school open court program called, All-4-1. The KDU open court sessions for students will be based on the All-4-1 model, which is a combination of athletics, mentoring, and life skills. As a graduate of Baltimore Junior Academy, and Oakwood University in Huntsville, Alabama, I have cultivated friendships with great people who are bringing reality to my dream of helping other’s dreams come true. Through our living for giving we believe that we can make a whole generation better. I am blessed to work in the field of Information Technology but doubly blessed to combine my sneaker passion with a greater passion… making a positive difference on this planet! In the process of appreciating the graphics, athletic symbolism, and cultural significance of sneakers, I couldn’t help but envision the thousands of youth, local and abroad, who walk everyday without a pair of clean, well fitting shoes. I just can’t accept the idea that a child should grow up never having a pair of shoes. Can you? 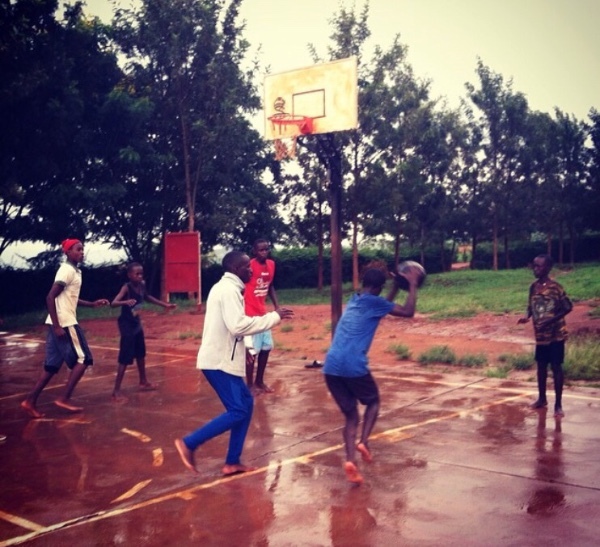 Last year we were successful and were able to send 400 pairs to Rwanda. Please help us this year in our efforts to send 500 pairs to Ethiopia !!!!!! Thank you for the bottom of our heart! Sneakerheads, sports fans, Facebook family..please help me combine for change through a universal language we all share. Much love! Kick Clean Party. 140 down. 60 to go!! Wish I could contribute more to include my time. Keep on keeping on KDU! Blessings for the mission brother.